Based on the novel “Here Be Monsters!” by Alan Snow, “The Boxtrolls” is the latest 3D stop motion film from Laika Entertainment, the company behind “Coraline” and “Paranorman.” It is set in the fictional Victorian town of Cheesebridge, England, where humans hide in their houses at night in fear of the titular Boxtrolls, creatures that they believe to be dangerous. The Boxtrolls come out of their underground hiding place at night in order to scavenge through trashcans for things they can potentially use in their inventions, all while being chased relentlessly by the Snatcher (voiced by Ben Kingsley) and his stooges. The protagonist, Eggs (voiced by Isaac Hempstead-Wright, who plays Bran Stark in “Game of Thrones”), is a young human boy named after the type of box he wears. Eggs is being raised by these creatures and, as a result, believes himself to be a Boxtroll. After he encounters a girl in the human world named Winnie (voiced by Elle Fanning), and the Snatcher captures his Boxtroll parent, Eggs goes on a journey to free the Boxtrolls and uncover his own true origin and identity. Thankfully, “The Boxtrolls” is not made for kids alone. Although children can enjoy its quirky black humor and highly likable characters, the story will make you think about power, society, and their effects on people both as individuals and as a group. It’s about those who live in their boxes, excluded from their society feared and degraded, yet making no attempt to earn their rightful place alongside the humans. 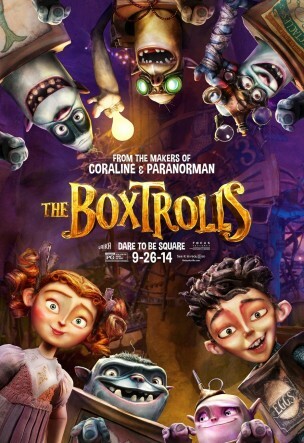 “The Boxtrolls” contains a message for all to stand up, reclaim their rights, and to leave their boxes. The writers did a great job with the main villain, the Snatcher, by making him a truly unlikeable yet multidimensional character. That said, I wouldn’t be surprised if he became a favorite for some viewers. Notably, his allergy to cheese, a vital element the film’s plot, helps to create some truly comical scenes. With its 19th-century English setting, “The Boxtrolls:” takes full advantage of great music pieces composed by Dario Marianelli, who won a Golden Globe and an Oscar for his score of “Atonement.” “Quattro Sabatino,” for instance, is still playing repeatedly in my head. This article was updated on Oct. 3 to comply with the Argus style guide.